Hummingbirds have a weakness for red flowers. So even though it’s not MY favorite color, I always try to have a few red flowers in the garden — just for the hummingbirds. Some years its salvias and hibiscus. Others its fuschias or geraniums. Always there’s Crocosmia ‘Lucifer’. Its flowers are redder than red and there’s just no way a hummingbird can pass them by. 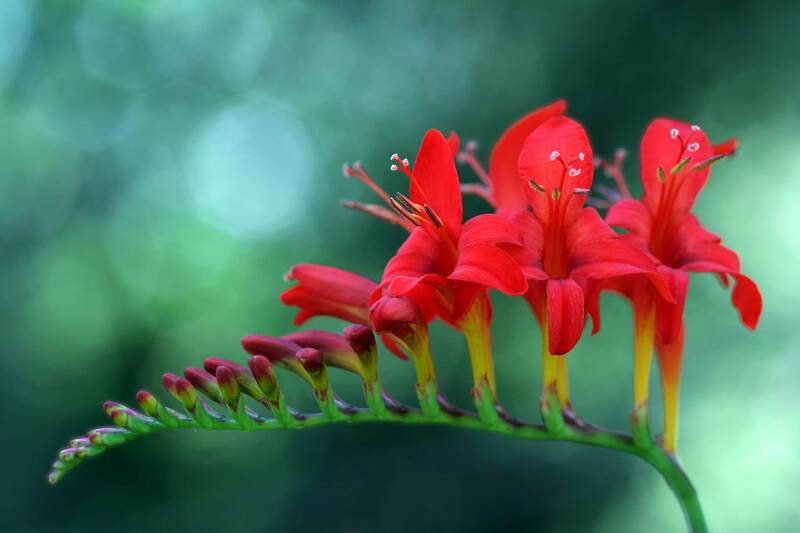 Crocosmia are native to South Africa, where they grow in moist grasslands. There are many varieties, with different heights, flower sizes and flower colors. All have sword-like foliage with vertical pleats, and tubular flowers on wiry, arching stems. The plants grow from round, firm corms that are similar to the corms of crocus and gladiolus. Crocosmias are winter hardy in zone 7. Most are also hardy in zone 6. Only the cultivar ‘Lucifer’ is reliably hardy to zone 5. Other popular cultivars include ‘Emberglow’, ‘Emily McKenzie’, ‘George Davison’ and ‘Solfatare’. Crocosmia’s brightly-colored flowers add midsummer excitement to mixed perennial borders. And even when the plants are not in bloom, their upright foliage adds visual interest. Crocosmia are excellent companions for ornamental grasses and are also good cut flowers. Planted in containers, they bring a welcome burst of late summer color. 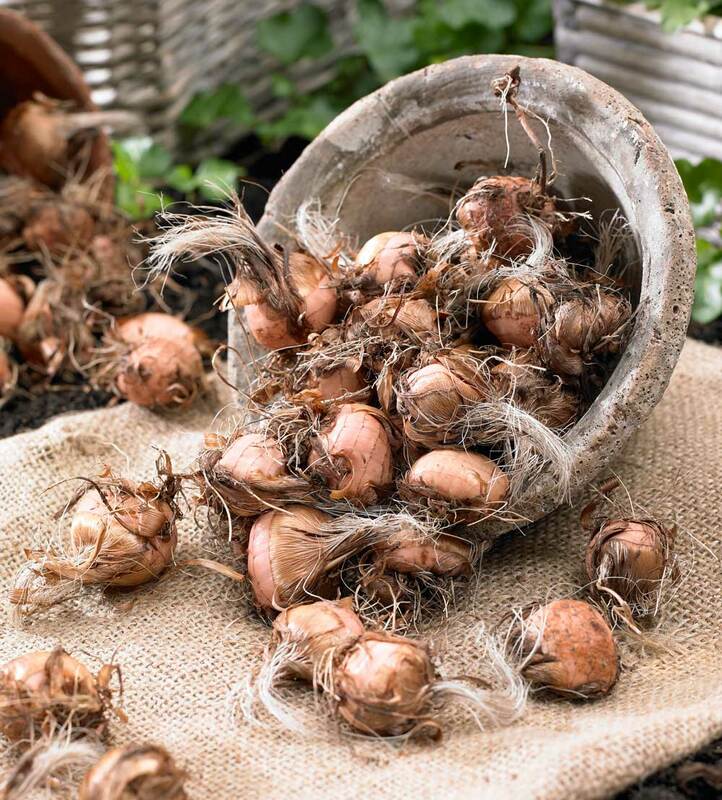 Plant the corms in well-drained soil. 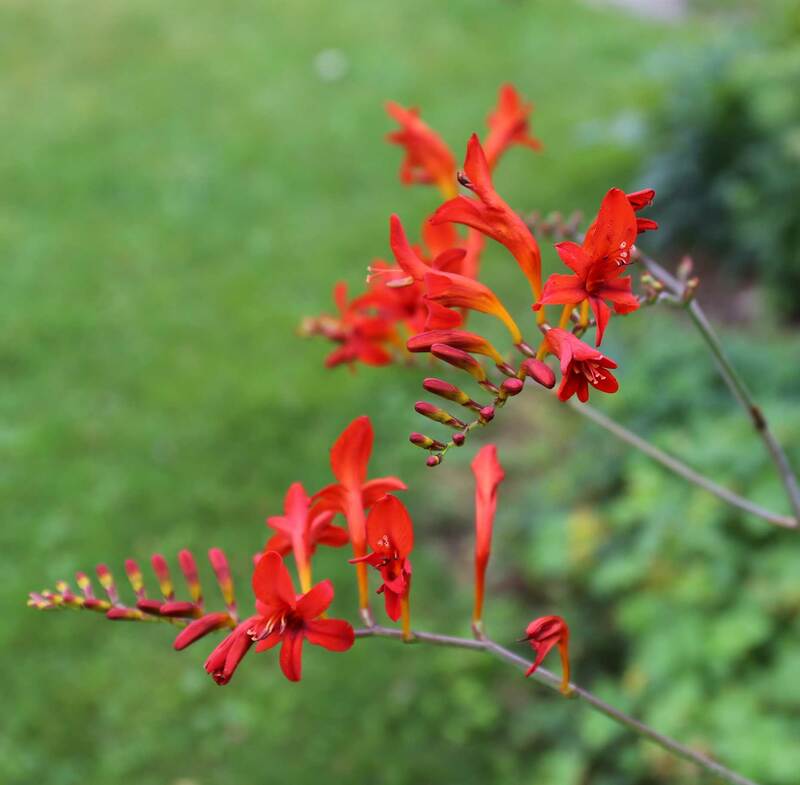 Though crocosmia grows best with consistent moisture, they dislike heavy soil and will not tolerate being wet. If you garden in a relatively cold part of the country, choose a spot that’s warm and south facing. In moderate climates, plant the corms 4-5” deep. In colder zones, planting them an inch or two deeper will provide additional insulation. Over time, most crocosmia cultivars, including ‘Lucifer’, grow into fairly large clumps. Keep in mind that in northern areas, it may take a couple years for the plants to get well established. In the deep south and Northwest there are a few species that are considered invasive, so if you’re in those areas, stick with the named cultivars. 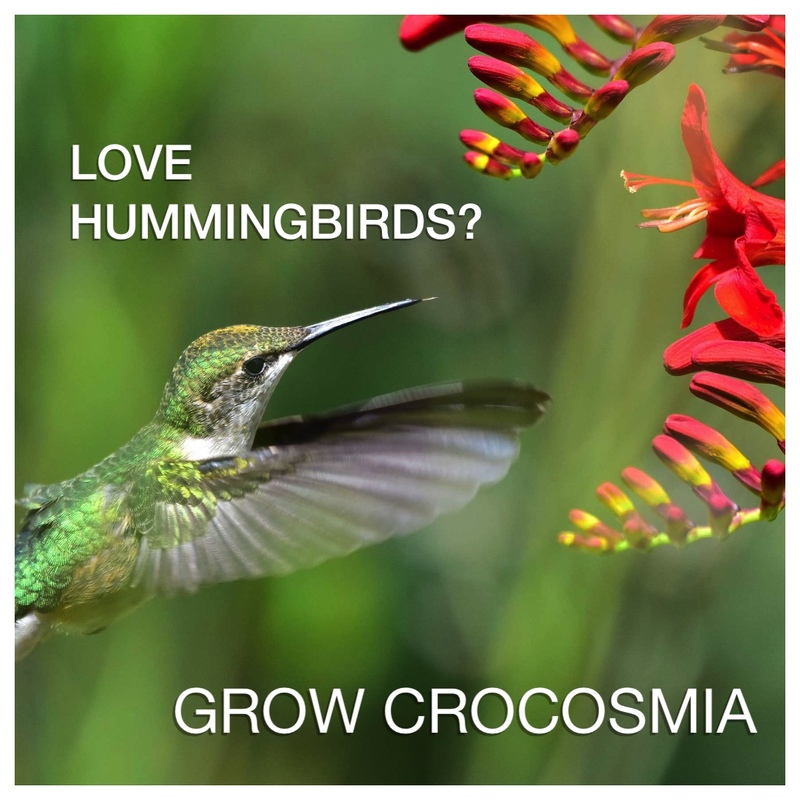 Though hummingbirds love crocosmia, deer and rodents don’t. They’re also rarely troubled by insect pests or disease. Once the blossoms have faded, cut off the flower stalks and let the leaves continue growing. Allow the foliage to die back naturally in the fall, then cut it back to a height of 4 to 5” before growth resumes in the spring. 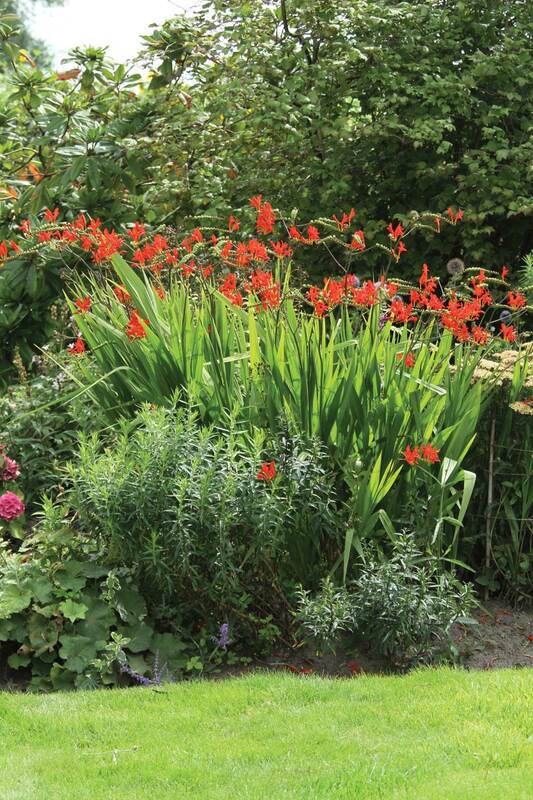 Under ideal growing conditions, crocosmia corms will multiply and grow into large clumps. If the corms become too crowded, the plants produce fewer flowers. As the corms multiply, they also push their way up toward the soil surface. When they are not deep enough, the plants can get floppy. Dividing the clumps every 3 to 4 years and replanting them at the proper depth, will restore their vigor and improve flower production. The best time to divide the corms is fall. Start by cutting back the leaves to 5”, then pry the clump apart, taking care not to break off the young shoots. Replant smaller clumps, making sure to set the corms at a depth of 5 to 6”.